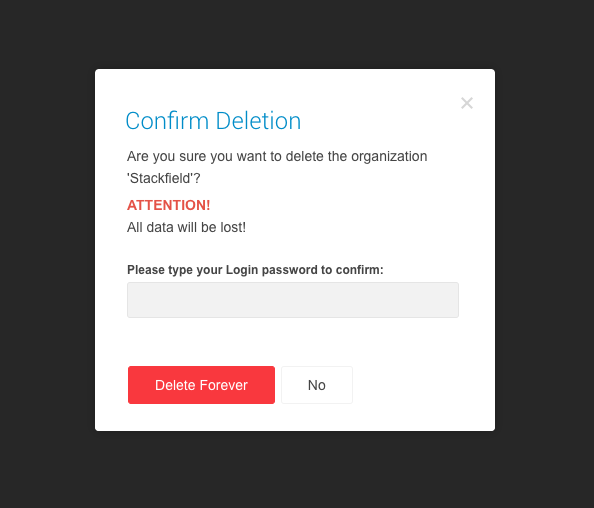 Deleting an organization is possible in the organization's settings. 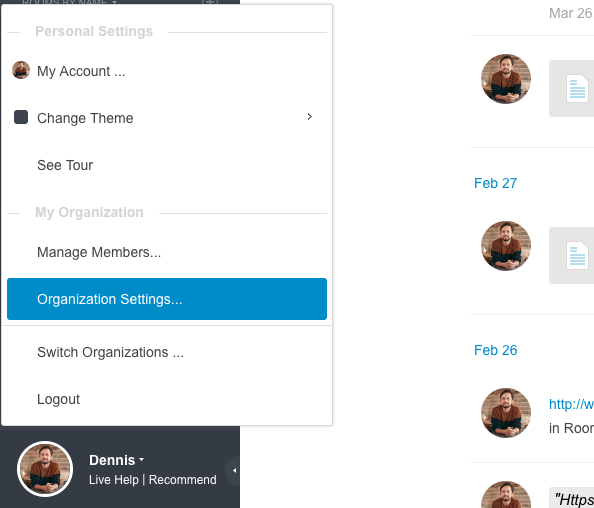 These can be accessed by clicking on your own profile picture in the lower left corner and then selecting the "Organization settings" option. 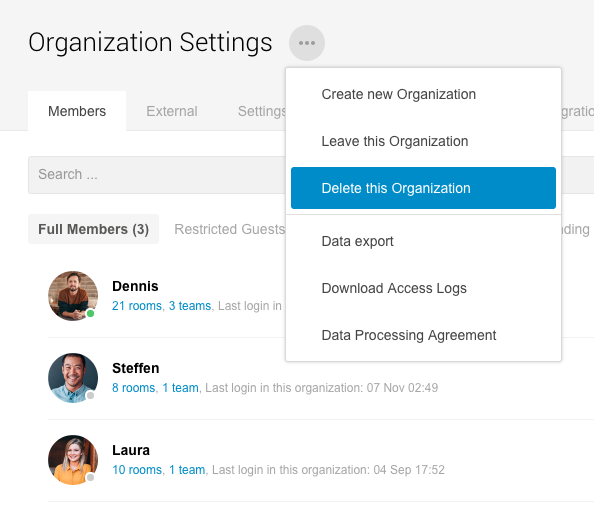 Within the organization's settings, there is a button next to the "Organization Settings" heading, represented by three dots in a circle containing the option "Delete this Organization." After selecting the "Delete Organization" option, a password prompt appears requesting permission to delete the data. It should be noted that all data will be deleted irrevocably and can not be restored!